Dave Chappelle's Block Party is just as awesome as you'd expect it to be, and even more hilarious. For one, the enigmatic comedian has cooler friends than you (Kanye West, Mos Def, Jill Scott, Erykah Badu, The Roots, and The Fugees), and his invitees, various people he hands "a golden ticket" to in Brooklyn's Clinton Hill (where he throws the unannounced bash), are far more psyched for the festivities than anyone you gave an invitation would ever be. On hiatus from The Chappelle Show, Dave takes his comedy to the streets, recruiting people for the upcoming performance while entertaining us by just, you know, being himself. 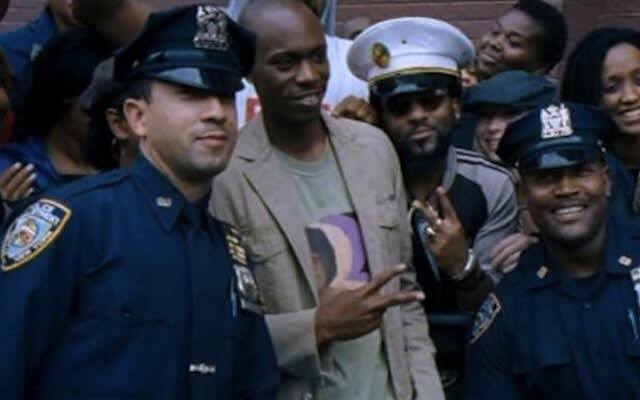 Jokes aside, we also see a different side of Chappelle, his passion for the people in the neighborhood and the easy warmth he has with everyone he meets, from school children to old ladies on the street. You can tell the beloved funnyman is affected by the overall sense of community and the genuine appreciation the residents show for his concert/comedy show hybrid. Maybe that's why he walked away from the $50 million he was offered to do a third season of The Chappelle Show a few months after, possibly to get back to those community roots. Conjectures aside, Block Party is an event you shouldn't miss.